Radiofarda – Hollywood star Leonardo DiCaprio has voiced his support for eight environmentalists jailed Iran for more than a year on ambiguous charges of “spying”. In a tweet on February 6, DiCaprio calls for support for the detainees who went on trial last month, some facing serious charges, which could lead to death penalty. One of the conservationists died in suspicious circumstances in prison days after his arrest last in January 2018. 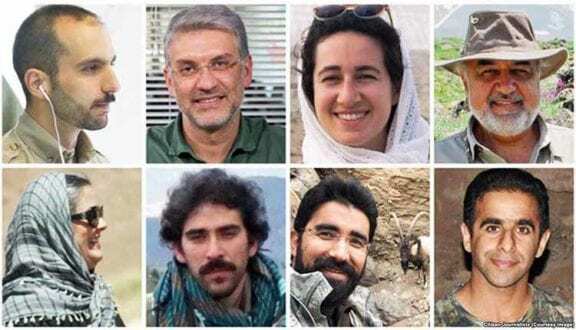 DiCaprio also calls on his followers to sign a petition for the release of the Iranian environmentalists who have been arrested by the intelligence organization of Iran’s Islamic Revolution Guards Corps, IRGC. Environmentalists and conservationists around the world continue to be unjustly persecuted. We must stand by those risking their lives to protect the future of our planet and its inhabitants.